Pretty. Wearable. Effortless. At Bobbi Brown, beauty is all these things and more. Founded in 1991 by legendary makeup artist Bobbi Brown, the prestige beauty brand is dedicated to empowering every woman with the tools and know-how she needs to bring out her best. With face products that are expressly designed to look like skin; colours for eyes, cheeks and lips that enhance rather than detract; and skincare that instantly makes skin—and makeup—look even better, Bobbi Brown celebrates the positive. 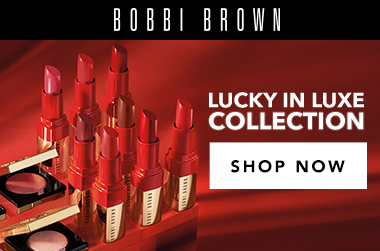 Discover Bobbi Brown—beauty that lets you Be Who You Are. Favourite make-up items include the best-selling Bobbi Brown Long-Wear Gel Eyeliner Black Ink - which gives the appearance of a liquid, the longevity of a gel and the ease of a pencil for a smokey, feminine eye - the professionals' go-to, Bobbi Brown Ultra Fine Eyeliner Brush - designed for use with cream or gel formulations to create perfectly-framed peepers - and the product that perfectly sums-up the brand's no make-up make-up look, Bobbi Brown Pink Quartz Shimmer Brick - a radiant palette that really is universally flattering. Adore Beauty is an official Bobbi Brown Stockist. Free shipping on all orders. Showing 20 products of 130. I love the stone street colour as it doesn't look orange on my skin. it is also buildable so i dont need to be careful when i apply it on my skin. this colour is like a brontour on my skin. I've been using the Bobbi Brown Corrector in 'peach' and 'light peach' for years and was so happy to find it on Adore Beauty. This product is super creamy, you only need a little to dab on the dark area under your eyes to immediately brighten! Can be worn without foundation over the top, sometimes I use just this corrector and powder. Lasts for a long time too as you only use so little.